If you understand better where you come from, then you can get a clearer and deeper sense of where you’re going. Then in turn, you can better articulate that passion to others. These ideas are among the fundamental pillars of our collaboration with AshokaU, Self-Discovery and Changemaking Through Photography. For the final project of the Self-Discovery and Changemaking Through Photography webinar, participants were asked to examine old images that mean something to them — ones that helped form them into who they are — and then to creatively represent their stories of discovery. Through introspection, research and conversation, participants developed sincere and inspirational projects highlighting their journey of photographic thinking. 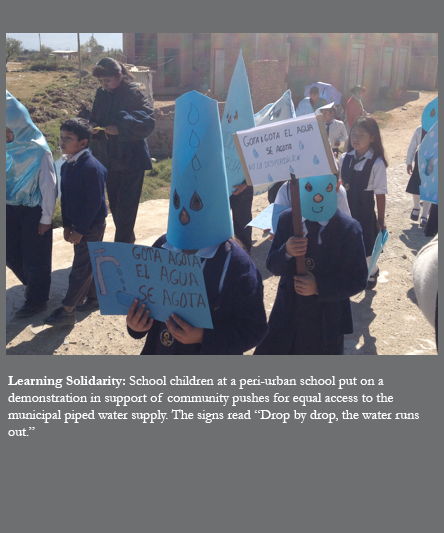 As part of our partnership with AshokaU, we also asked members of the Ashoka community at large to share photos that "mean the world" to them. These moving responses speak to the power and impact that our photos provide in our work and lives. We proud of the creative work and thoughtful responses shared with us, and in turn, we're excited to share some standout examples with the world. This is only the beginning. We’re looking forward to getting to know you, your work, and your ideas in this rapidly evolving world. If you have a project of photographic discovery, and you want to share it with us, please do! 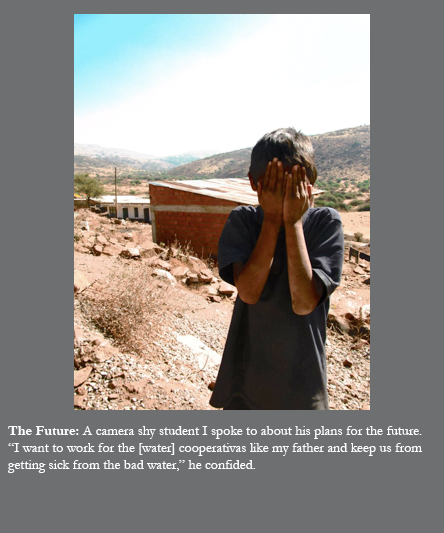 To demonstrate the translatable and transferable nature of photographic thinking, PhotoWings teamed up with AshokaU, the higher education division of Ashoka, to create Self-Discovery Through Photography. With this webinar, participants gain valuable skills to use in work and in life, including: communication skills, gaining trust and access, visual literacy, critical thinking, applied empathy, resilience, ethical considerations, preservation, and other critical changemaker aptitudes. It's not just about photos. Instead, the world of photography serves as a launching point for participants to develop new skills and strengthen — and find out a little more about themselves. If you know where you come from, you can know where you are headed. Throughout the course, voices of award-winning photographers such as Maggie Steber, Andrea Bruce, Ron Haviv, and Steve McCurry intermingle with stories from leading museum curators and diverse experts such as psychologist Phil Zimbardo, who has over four million views on the TED website. All participants also benefit from an incredible wide array of free PhotoWings educational resources, including their deep-linking Resource Center, provocative interviews, and in-depth yet accessible features. 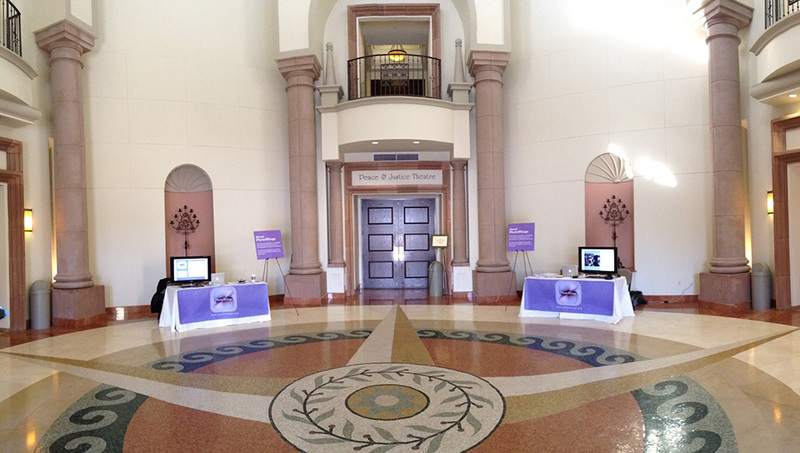 PhotoWings is honored to work in synergy with AshokaU on this webinar. We find it truly exciting to work hand in hand with an organization whose network includes Nobel Laureate Muhammad Yunus, Teach for America’s Wendy Kopp, as well as AshokaU’s co-founders Erin Krampetz and Marina Kim. 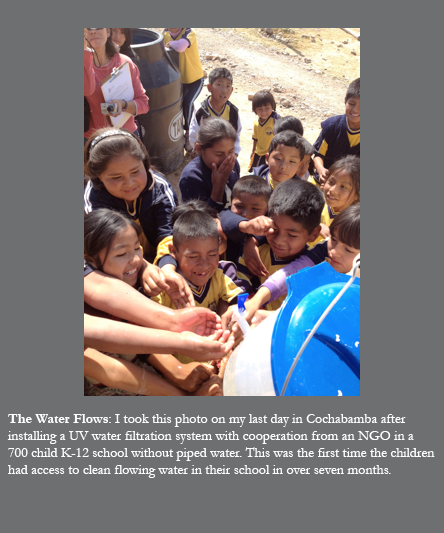 Krampetz and Kim’s inclusion in the 2012 Forbes 30 Under 30 further testifies to AshokaU’s cutting-edge status. AshokaU is the university-based initiative of Ashoka, the first global association of the world’s leading social entrepreneurs— men and women with innovative solutions that address the world’s most urgent social challenges. Since its founding in 1980, Ashoka has launched and provided key long-term support to more than 3,000 leading social entrepreneurs in over 70 countries. 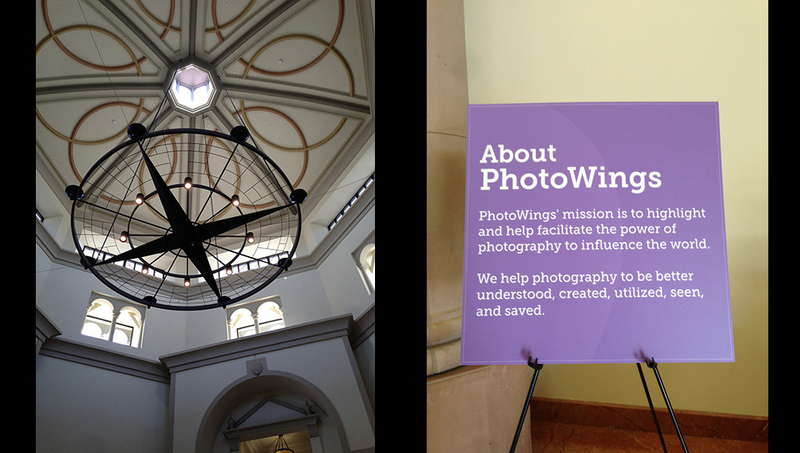 PhotoWings is an educational non-profit whose mission is to highlight and help facilitate the power of photography to influence the world. We help photography to be better understood, created, utilized, seen, and saved. For as long as I can remember, I have always felt the need to help those less fortunate. Seeing young children begging for food on the streets of India really made a lasting impression on me. 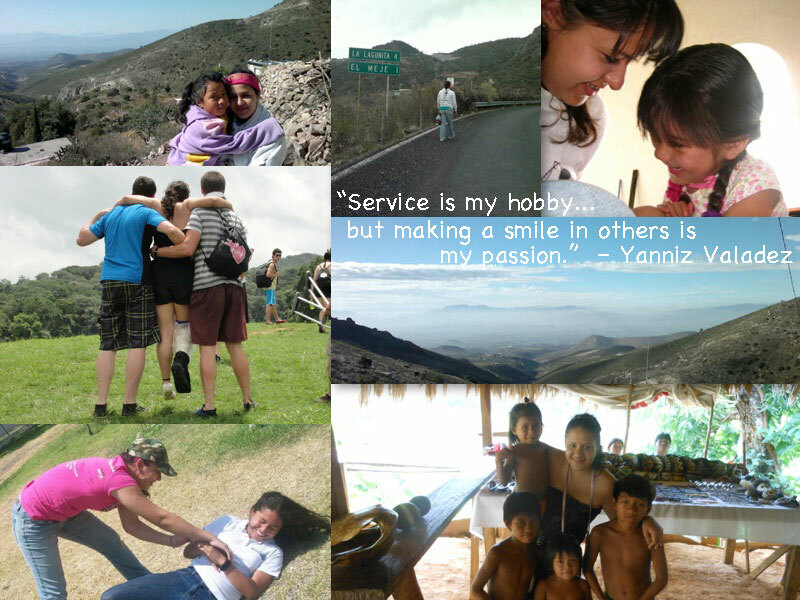 Because of this, I have always done lots of volunteer work and also worked with non-profit organizations. Last July, I taught business skills to people in the slums of Nairobi. One Saturday, a group of teachers joined a local youth group to help pick up trash in the slums. 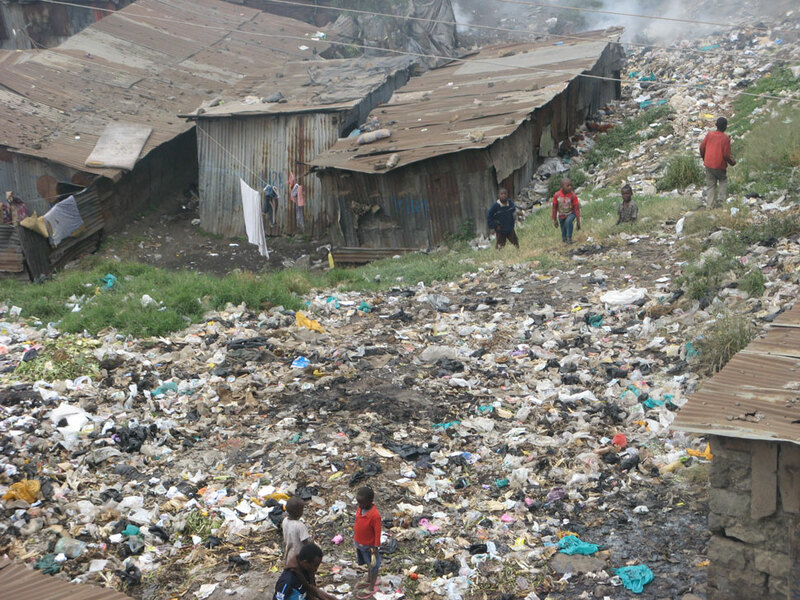 During our short time there, you could see adults and animals rummaging for food in massive piles of trash all throughout the slums. The one image that impacted me was seeing children playing in the trash. It seemed like the trash was a part of their playground. 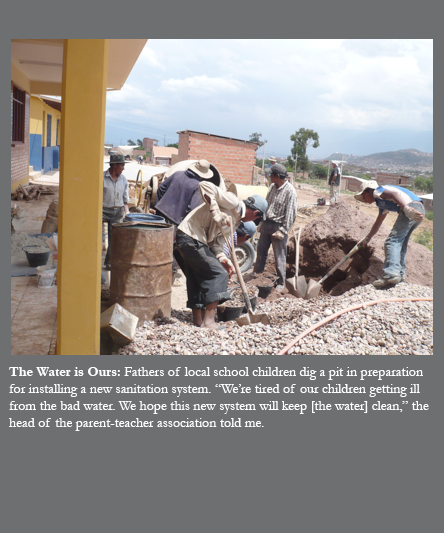 When the kids are playing in or near the trash, they are exposed to diseases including typhoid and cholera, to name a few. These are major killers in the slums. It was difficult to see anyone living in those conditions, but it was even moreso with the kids. They were only trying to play, but it was on a deadly playground. The real tragedy is that they do not know that there is a problem. Because they are innocent and less able to help themselves, my personal mission statement for the future will include helping children in some capacity. We may never know our exact place in this universe, but should be want to? I love this photograph, because of its anonymity; “The Girl” can be you or me. I love it, because “The Girl” manages to position herself perfectly parallel to a crooked world around her whilst reaching straight upward through her fingertips, seemingly screaming, “hallelujah, for, I may be a bit off-center, I may be one of many (of people in this photo, as of in the world), but I can stand out, can shine, and can still jump for joy, just because it happens—not—to be raining in London today. Unbeknownst to the girl, she remains in this place and continues to inspire me every time I look at my computer wallpaper. “The Girl” proves, when we reach for the sky—even when we think nobody notices—we enable others to dream about what we are reaching for, and in turn, we help inspire them to reach themselves. 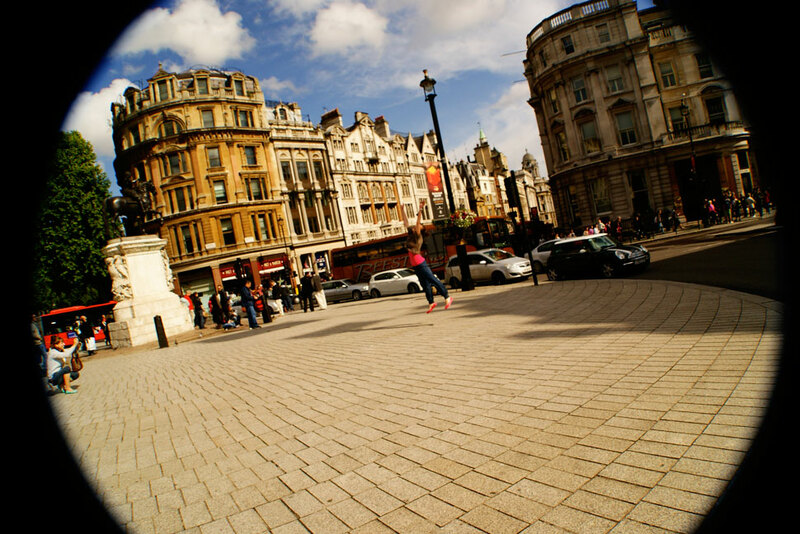 Backpacking Europe the summer of 2011, I had no exact place to be, but happened to be at the perfect place at the perfect time to capture this moment: true serendipity. This photo was taken the day I met Mabel. We peeled palm nuts and talked. Our friendship deepened over several years as I returned again and again to her village. She taught me how to make palm oil; how to protect mango fields from fire; to revere the Queen Mother above the Chief; to honor newborns and especially newborn twins. She taught me how to be a loyal friend and why it was important to wear colorful clothing. 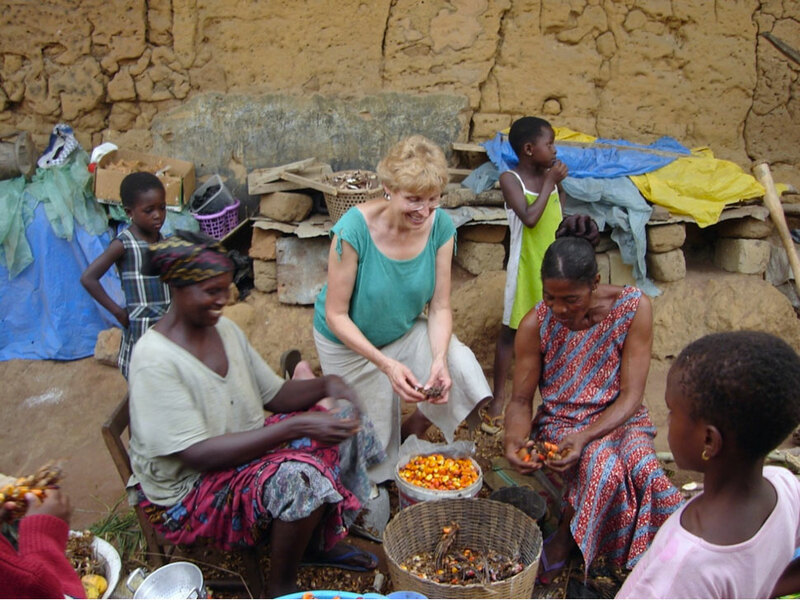 Mabel told me about the crippling effects of a micro-loan program brought to her village. With Mabel’s wisdom we created the program she knew would work: local elders needed the power to administer micro-loans. Now the village is growing their own fund slowly by setting the right interest rate and re-loaning the growing capital so the whole village prospers. Joyful as this picture is, my sadness on the last day I saw Mabel was overwhelming. I was at her bedside as she was dying of an easily treatable disease. Within the week her niece Comfort died, also of an easily treatable disease. What good is access to capital if you do not have access to education or healthcare? 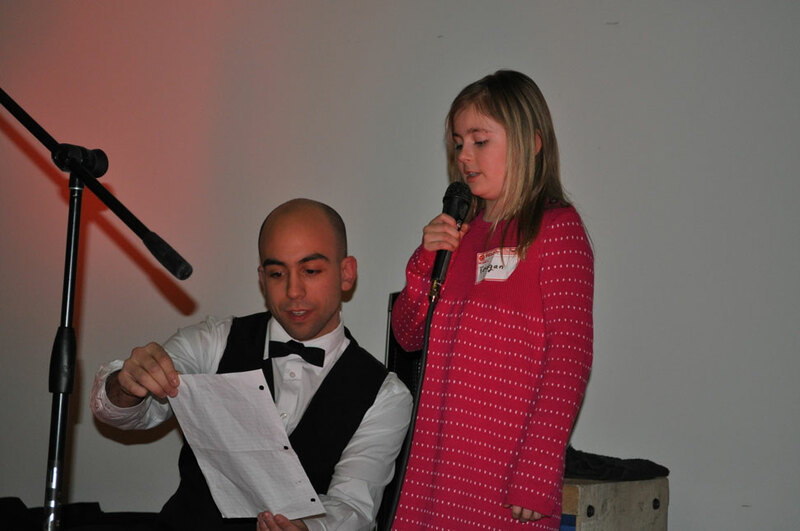 This is a picture of my 9 year old daughter, Teagan, participating in a program called Instill Life, developed by social entrepreneur Nikos Theodosakis and my Enactus Okanagan College students who have helped to develop and grow the program. What I love about Instill Life is that students learn about food, and where it comes from, and the importance of healthy eating and sustainability. 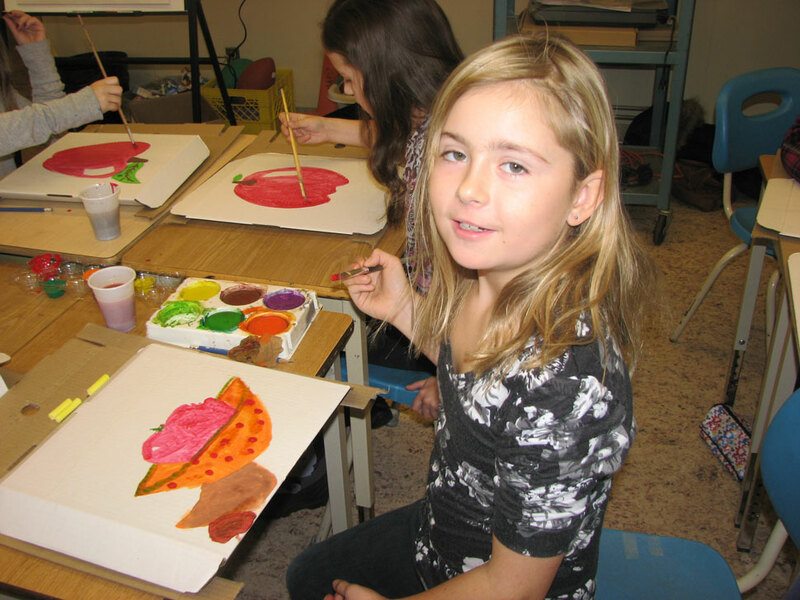 Students create their own pictures that are inspired by their favourite foods. The paintings then become beautiful gift cards and are sold throughout the community. Students are then empowered through entrepreneurship to take the money they earn and donate it to a cause like Kiva, learning about the needs of entrepreneurs in developing countries around the world, and being armed with the choice to choose where that money goes. On a classroom map, photos and stories from around the globe bring the world to life as students bring life to the world. Through a journey that connects math, science, language arts, social studies, nutrition, entrepreneurship, sustainability and global citizenry, students explore their connection to the world around them and their potential to create real change in the world through their own artwork. To see first-hand the learning that a program like this makes, through my daughter’s participation, makes me realize that even at a very young age, young people can be creative, and can be inspired to help apply their own skills to help support others in communities beyond their own borders. 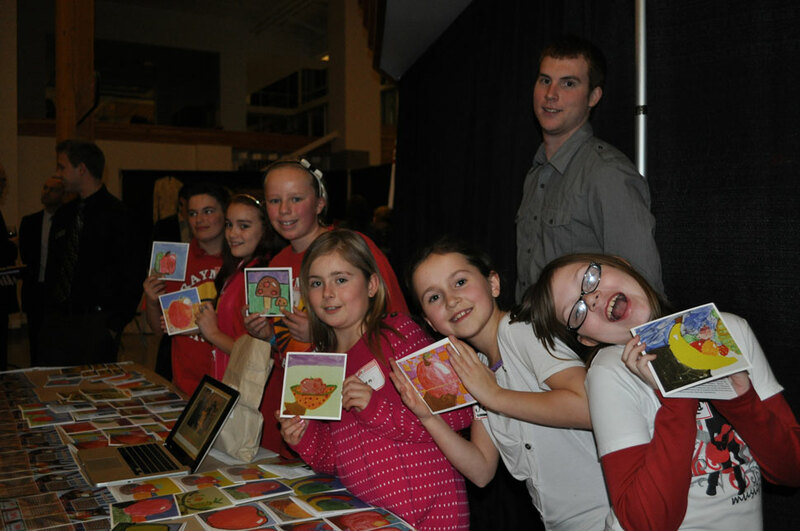 What I saw through Teagan’s eyes, and through her card, was that she grew in confidence, and took opportunities to speak about what she learned from the program and that it engaged many of her classmates. The stories they learned from these entrepreneurs through KIVA really connected to them (for example, a student of a single mom lent to a business owner who was also a single mom). In a small way, these students are becoming social entrepreneurs by using their talents, and raising funds to help fund micro businesses in developing areas that sustain their local economies. My sister is an artist, and I have been privy to seeing the way that she has expressed herself through her painting and also used her art to raise funds and awareness for issues in society. Now, through the Instill Life project and my daughter Teagan’s involvement, I once again see the potential that art has to reach out, create stories, inspire change and make a difference. "To Dare To Be the Unique You"
Since her birth 25 years ago, my oldest daughter Amanda and I have discussed the meaning of Kabir's quotation, "When you were born, you cried, and the world rejoiced. Live your life so that when you die, the world cries and you rejoice." We've talked about how we all dream of noble purposes and that to live a life that matters, you must pick your place in your world where you want to make a difference and do it. Most important, I've conveyed to her the importance of listening to your heart and following your own path -- hard to do, both to listen in this way and to go your own way when others are pulling you back into their mainstream. To stand out, stand up, and stand for something, and for somebodies, particularly for those who cannot stand on their own. To be a voice for those who can not speak. This holiday season Amanda sent me this picture. 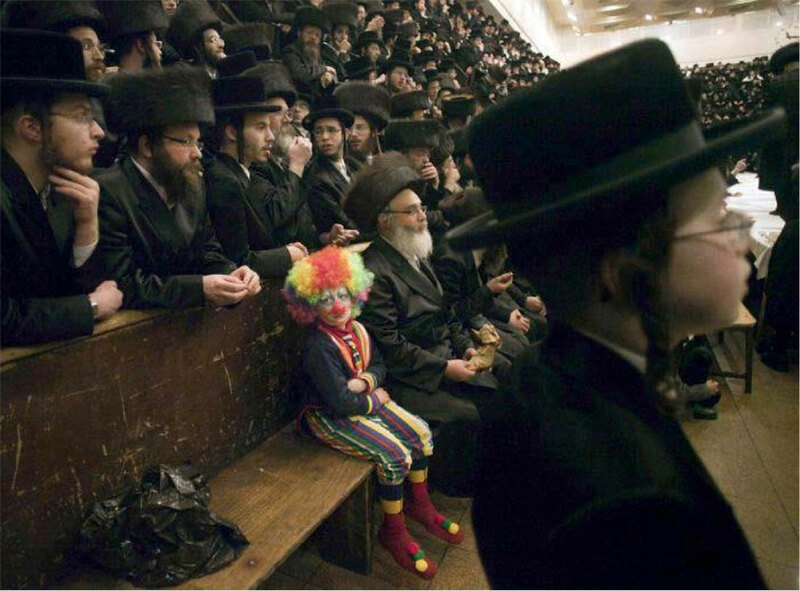 I am very involved in Jewish studies (though I'm Reform, not Orthodox), and with her wonderful sense of humor and theatre, Amanda conveyed this lesson in her own, inimitable manner. I couldn't be more proud. 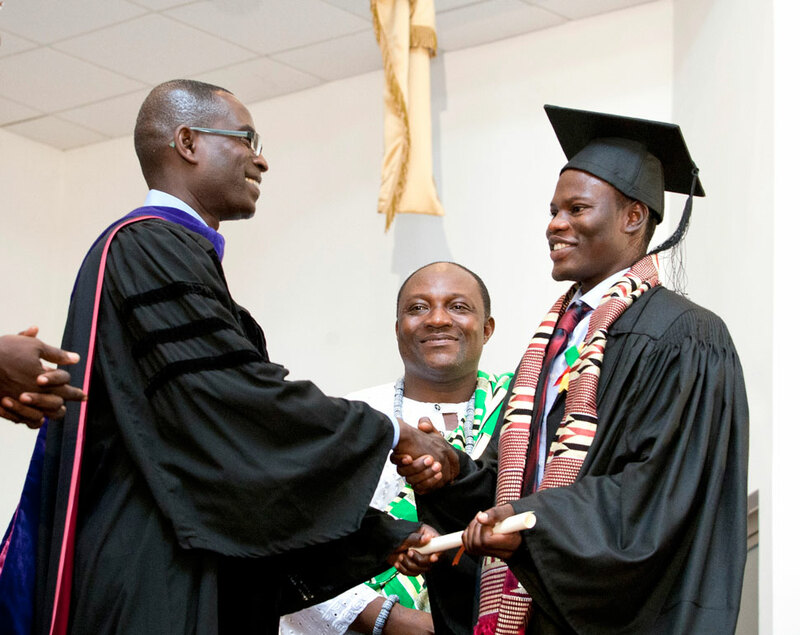 One of my proudest moments at Ashesi was watching Festus Agoabasa graduate this past June. Festus is a young man who comes from very humble beginning. He grew up in a rural village in Ghana and at the age of fifteen migrated to Accra. He put himself through high school selling gum on the streets before coming to work at Ashesi as a gardener. Then, an interesting thing happened, Ashesi noticed him. With encouragement from administrators and faculty, he applied to Ashesi and enrolled as a student on full scholarship. Today he has a great job working to help build the capacity of rural farmers in Ghana. Ashesi has changed his life. Festus’s story speaks to the essence of Ashesi’s mission and serves as a testament of what Ashesi means to me. There are not many places where a gardener would be brought to the attention of the admissions office or president of the university. Festus was noticed by the Ashesi team. This picture is a reminder of one of the most important lessons that I have learned: the need to pay attention to institutional culture, and to be deliberate about shaping it. At Ashesi we have successfully built a culture that is quite deep and speaks to the power of Ashesi’s mission. 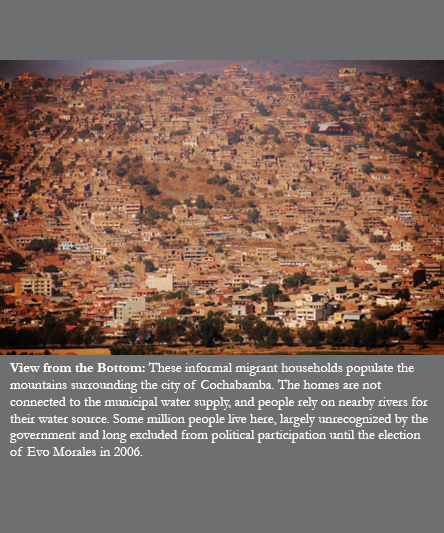 My first understandings of Bolivia, coming from a documentary detailing the city of Cochabamba’s resistance to water privatization in 2000, were preconceived, essentialized notions of “the poor” fighting western capitalist expansion. 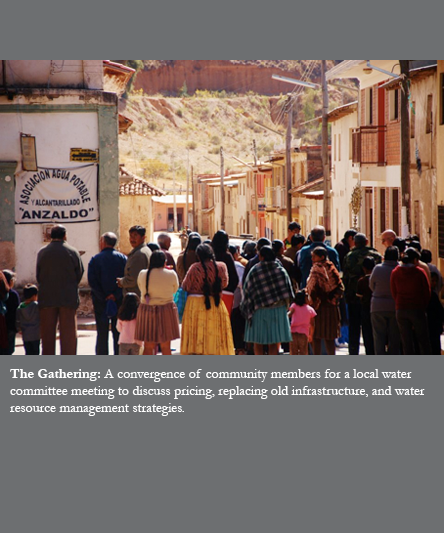 Nevertheless, the documentary sparked my interest in the country and moved me to write my senior thesis at UC Berkeley on the current state of water access in peri-urban migrant and indigenous communities. 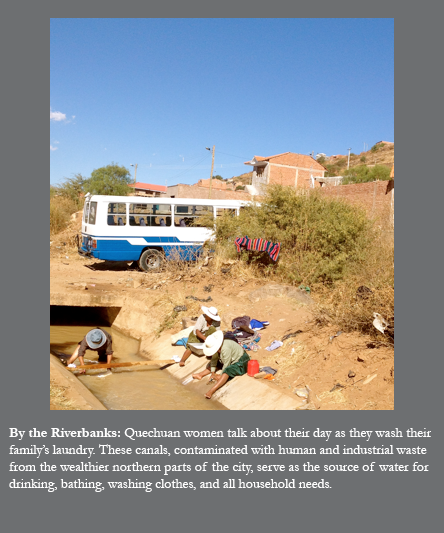 I set out for Bolivia for three months in May 2012, and this collection of photos offers a view of the women, men, and children in a community in the Zona Sur in Cochabamba, which has the city’s lowest rates of access to clean water and adequate sanitation: 30% for water and 12% for sanitation with an estimated population of 200,000. 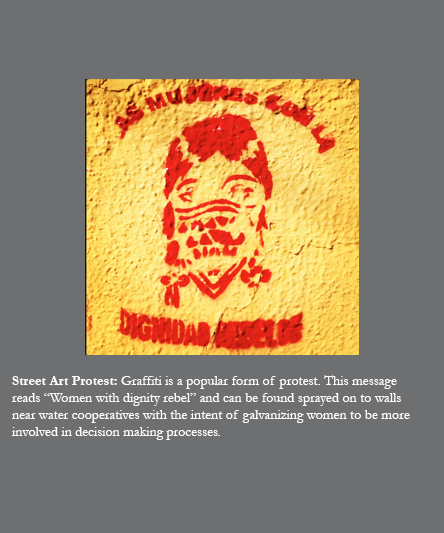 These photos are important because they capture the present state of the historic struggles for access and rights to water. 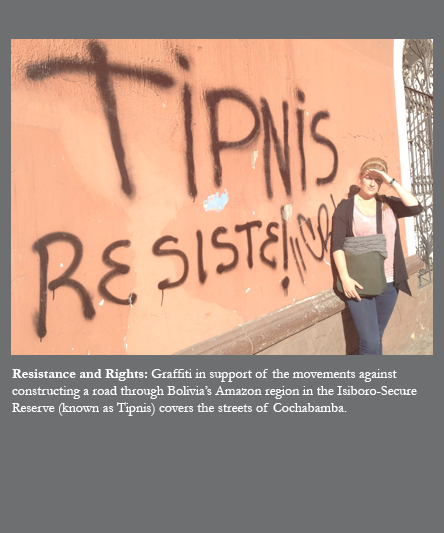 When I reflect on this series, I am reminded that any meaningful transnational change must simultaneously redress both poverty and inequity, while strengthening countervailing centers of power. 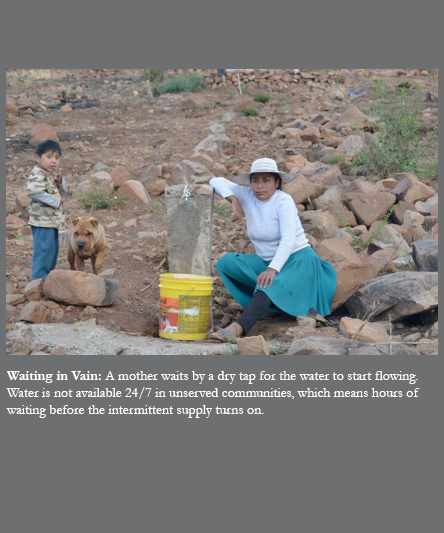 I am now writing a second thesis on the realization of the human right to water in Bolivia. When my motivation wanes, I look back through this collection and am reminded of why I pursue the path toward building solidarity in the context of inequality. On my first school building trip to rural Kenya, I met a young girl who was about 5 years old from the village. 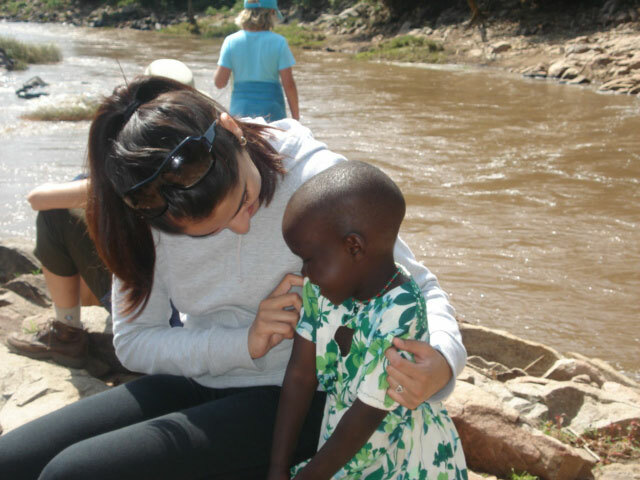 She didn’t speak English and I didn’t speak Kswahili, but we both seemed to understand each other. She sat beside me and grabbed my hand. I realized that we are two different people from different parts of the world and different walks of life, but in that moment we were at the same place at the same time. 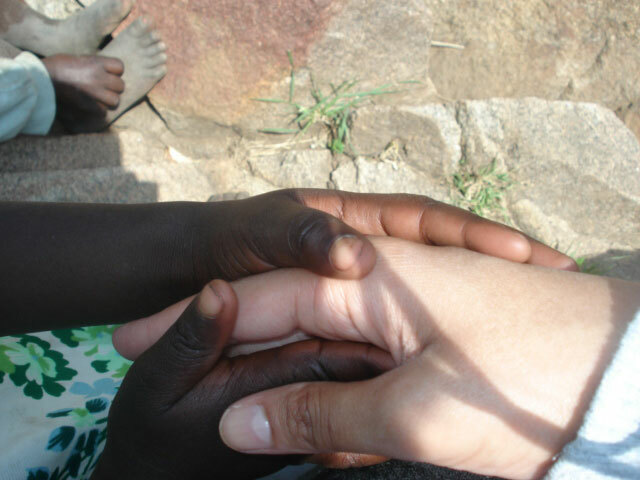 She reminded me that we are all connected and no matter our background, we can understand each other. I was 24 years old at that time and 5 years later, I still remember her and that moment. This is a picture of the house where I lived with two other VISTA volunteers. Everything I learned about changing the world, I learned in southeast Alabama where I served as a VISTA Volunteer right out of college. 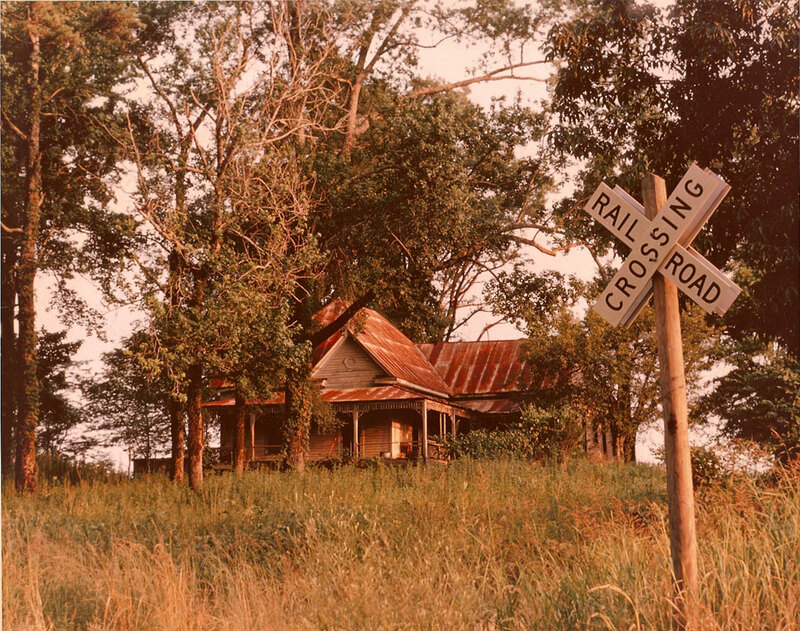 This photograph was taken in 1972, in the spring. I grew up as a member of the baby boomer generation, in a society where the victories of the civil rights movement seemed tentative as assassinations, riots, demonstrations, marches and upheaval marked my young days. We were a politically charged generation, obsessed with creating a new kind of society. My parents were from immigrant stock and we were solidly working class. Those lessons in Alabama were seared so completely in my mind that still today, I think these over. Now, as a college professor, where I teach sociology, I try to present similar learning opportunities to students. It seems to me that we have to keep all of our social change tools handy and sharpened. We can fool ourselves that every social problem can be solved by a better business plan; neither can be fail to take advantage of all the resources and talent at our disposal. When I see this house, I think of how far I have come and how much energy and love it has taken to get me properly educated. That were news of everyday… and now a reality has change since three years ago. And the news of everyday of one person killed was converted in 10 or 15 people killed by the “bad” guys. Hope in the people of Mexico have disappear. But, not for me. I still have hope that one day the TV news aren’t going to be another scary movie. That there’s going to be a change, and meanwhile I want to be part of that. For me the world it’s my Disneyworld that every place it’s and opportunity to make someone laugh. It’s a place where people need someone to make them feel there is hope. That’s why for me service isn’t just a hobby, it’s to help others giving them a hand for their needs, but specially making a smile in their and my life.